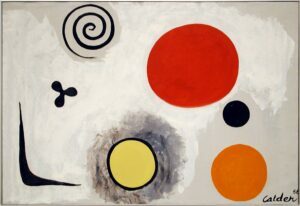 Alexander Calder is best known for his hanging, mobile sculpture. 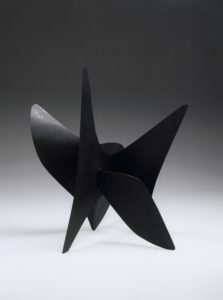 He initially studied mechanical engineering, but soon changed course and became a professional artist like his parents and grandfather before him. 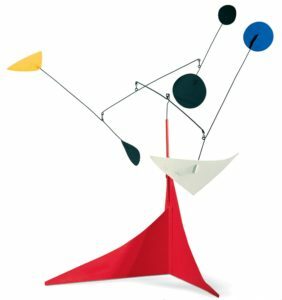 Calder traveled frequently in the late 1920s between New York and Paris, where he befriended members of the French avant-garde. 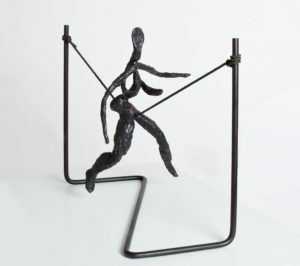 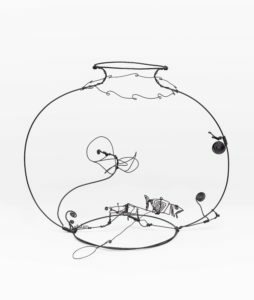 Calder's interest in movement appeared early in his figurative wire sculptures which have a mechanical sensibility. 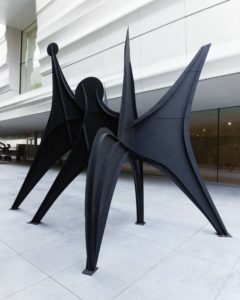 Some of his subsequent abstract sculptures are operated with cranks and motors, but his real breakthrough came with his invention of hanging sculpture. 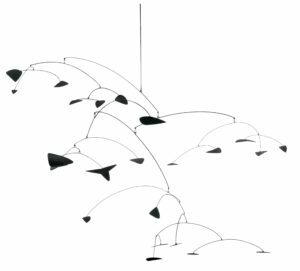 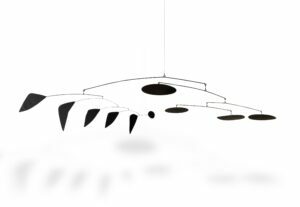 Calder's mobiles consist of abstract shapes connected by wires and move freely with the air currents in a room. 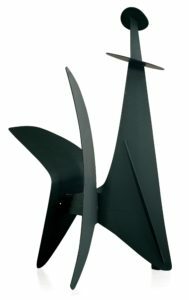 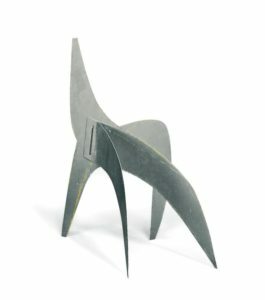 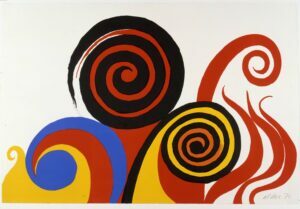 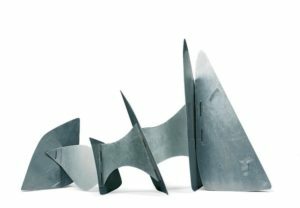 In addition to his work on both mobile and stabile sculptures, Calder also created paintings, designed textiles, and undertook commissions for large-scale public artworks throughout North America and Europe.